I donated in support of this campaign on Allison Eckstrom's page. "From Elly + Earl Appel"
I donated in support of this campaign on Sharon Fiedler's page. I donated in support of this campaign on Jennifer Takata's page. I donated in support of this campaign on Lori Marks's page. I donated in support of this campaign on Mitch Bassett's page. I donated in support of this campaign on Libby Snodgrass's page. "For a Brave One who is lucky to have a very Special Person by her side and for others who are fighting NM." I donated in support of this campaign on shelley altman's page. I donated in support of this campaign on J Roth's page. 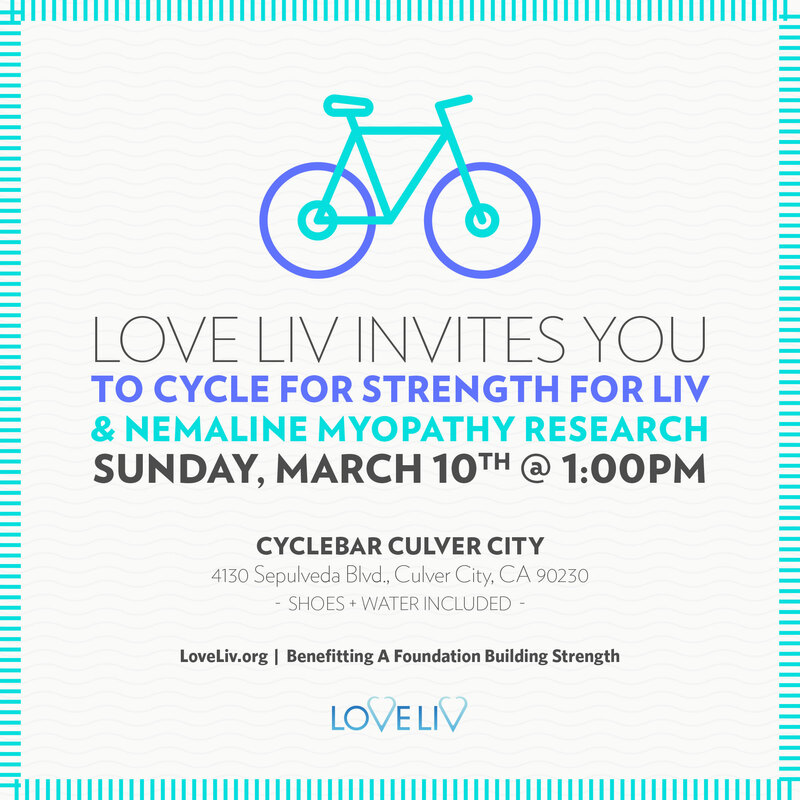 At 7 months, Liv was diagnosed with Nemaline Myopathy (NM), a rare neuromuscular disease that makes basic life tasks such as breathing, swallowing, coughing, sitting and walking difficult, if not impossible.